Be the first to share your favorite memory, photo or story of Juanita . This memorial page is dedicated for family, friends and future generations to celebrate the life of their loved one. Juanita A. Gilberts, age 90 of Verona, WI formerly of Darlington, WI passed away Monday, January 28, 2019 at Four Winds Manor in Verona. She was born June 19, 1928 in Ripley, Illinois the daughter of Albert and Vena (Densmore) Logsdon. Juanita graduated from Oregon High School in Oregon, IL in 1946. After graduating high school Juanita worked as a secretary at an attorney’s office until she met Royce. She was united in marriage to Royce D. Gilberts on June 6, 1959 in Oregon, IL. Juanita grew up in Oregon, IL before moving to Blanchardville, WI in 1959 where she farmed with her husband until retiring. In 1993, Juanita moved to Hollandale, WI where she lived until 2004 when she moved to Darlington. 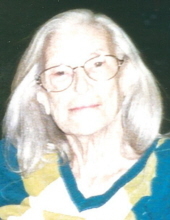 Juanita is survived by her children: Mark (Donna) Gilberts of rural Darlington and Diana Gilberts of Madison, WI; her grandchildren: Jill Gilberts, Joy Gilberts, and Marcus Gilberts; and her great-grandchildren: Bently Gilberts, Mary Jane Gilberts, Liam Davidson, Ezra Davidson, and Zoey Rae Schultz. She was preceded in death by her parents; her husband Royce; one son: Jerry Gilberts; and one sister: Shirley (Logsdon) Urish. Juanita was a lifetime longstanding member of the Church of God in Oregon, IL. She cherished the time she spent with her family, especially her grandchildren and great-grandchildren creating memories they will all remember forever. She will be sadly missed and fondly remembered by her family and friends. A funeral service will be held Friday, February 8, 2019 at 11:00 A.M. at Lafayette County Christian Center (11560 Center Hill Road, Darlington) with Rev. Mark Gilberts officiating. Burial will be in Long Valley Cemetery in rural Hollandale, WI. A visitation will be held Friday, February 8, 2019 from 10:00 A.M. until 10:45 A.M. at Lafayette County Christian Center. The Erickson Funeral Home in Darlington is serving the family. Online condolences may be expressed to the family at www.ericksonfuneralhome.com. For those who prefer, a memorial fund has been established in Juanita’s name. To send flowers or a remembrance gift to the family of Juanita A. Gilberts, please visit our Tribute Store. memorials may be written out to "the family of Juanita Gilberts"
"Email Address" would like to share the life celebration of Juanita A. Gilberts. Click on the "link" to go to share a favorite memory or leave a condolence message for the family.